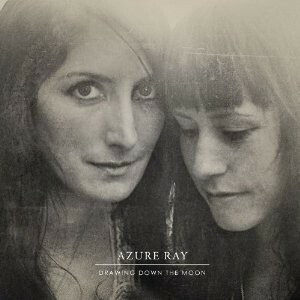 *Azure Ray, Drawing Down The Moon Orenda Fink and Maria Taylor of Azure Ray put their solo projects on the back burner and terminated an indefinite hiatus to record this new album. Download the first single, "Don't Leave My Mind," via Saddle Creek. *Bilal, Airtight's Revenge The Allmusic Blog calls the Soulquarian's latest effort "one heavy, messy, dynamite album -- one that could take a decade to be fully processed." Stream Airtight's Revenge in its entirety via NPR's First Listen. 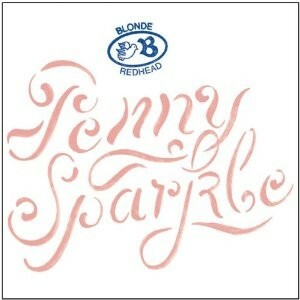 *Blonde Redhead, Penny Sparkle NME says of the new album, "Deft production lends this album space and stateliness at a time when everyone seems content to scuff their feet along to lo-fi, and begs the question, why? Though lacking standout tracks, this is an icy masterclass in how synths should sound." Listen to Penny Sparkle in its entirety via NPR's First Listen. *Michelle Branch, Everything Comes And Goes [EP] Listen to Branch's new six song EP via MySpace Music. *The Charlatans UK, Who We Touch "This time, I consciously didn't want us to sound like anyone else, I just wanted it to be a descriptive quite wordy, emotional album. I wanted to keep it real," Tim Burgess of Charlatans UK told NME of the new record. Sample Who We Touch via Amazon. *Chilly Gonzales, Ivory Tower Ivory Tower is not only Gonzales' latest album, but also the title of a film he wrote and starred in. The video below for "I Am Europe" seems to be related to the film - chess is a theme - as the IMDB page describes the plot of Ivory Tower to largely revolve around a game of chess.